Your best friend for your clean eating Paleo lifestyle. Ever wonder if a food is paleo? Just ask Paleo Buddy! We’ll tell you if the food you are wondering about is paleo. Not only that, we will track your meals for you too. 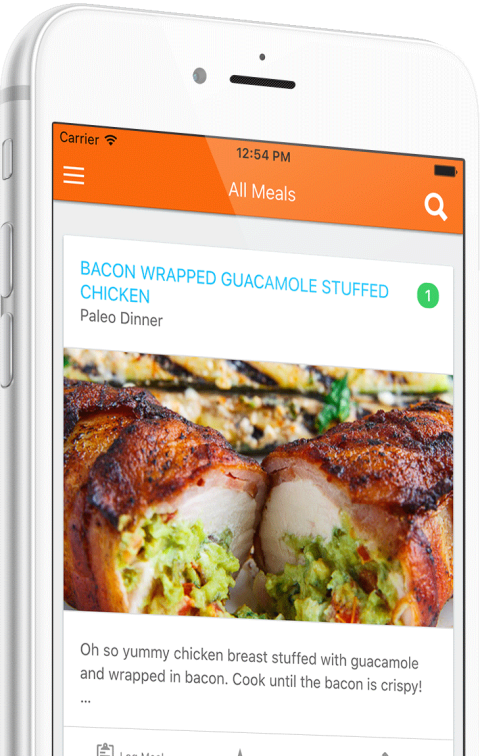 Just tap the “Log meal” button on any of the tasty paleo meals included in the app and your meal will be tracked. A huge database of paleo food items. 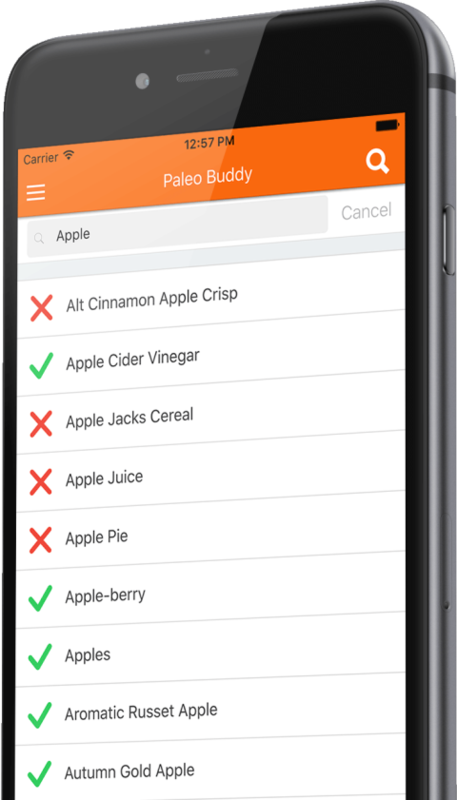 If you ever wonder whether or not a food is paleo just ask the Paleo Buddy App! Quickly search by food name and see a list of related food items and their paleo status. Break down your eating habits. Track out when you eat healthy and unhealthy meals. Overview your diet for the month. See when you eat cheat meals and Paleo meals. Pre-loaded with breakfast, lunch, dinner & snack paleo meal ideas. Instantly search through thousands of foods to see if what you want to eat is Paleo. Keep working when you do not have an internet connection! Easily share scores with your friends on any social network: Facebook, Twitter, Instagram and more. Want to take a cheat day and eat some non-paleo ice cream? No problem! Take your cheat day! We will track your cheat meals and give you a percentage breakdown on how clean your diet is. Paleo Buddy is a great accountability partner that never forgets! The paleo diet (aka caveman diet) is a great way to improve your health. It has been around since the Paleolithic era. Focus on eating nutrient-dense, whole, unprocessed foods that are easy for your body to digest.